UPDATE: Matt Reeves says his The Batman won't be part of DC's "extended universe"
Yesterday, we reported that The Hangover director Todd Phillips was in talks to direct and co-write a Batman spin-off movie about the Joker, with Martin Scorsese set to produce for some reason. The plan is for that movie to be a Joker origin story, but one that’s wholly separated from any existing cinematic Joker—including the one Jared Leto played in Suicide Squad—thereby making it a standalone movie that is not connected to the existing DC movie universe. Now, it’s starting to look like Matt Reeves’ The Batman might be doing the same thing. This comes from Entertainment Weekly, but it turns out that Reeves was actually talking about The Batman’s place in the DC Extended Universe back in July. In an interview with KCRW, Reeves said that Warner Bros. specifically approached him about making a “standalone” movie that is “not part of the extended universe.” Nobody seemed to realize what he was saying with that comment at the time, but in light of the Joker spin-off news, it seems pretty clear that The Batman isn’t really intended to exist as a prequel or sequel to Ben Affleck’s appearances as the Caped Crusader in Batman V Superman: Dawn Of Justice and Justice League. If that is the case, some of the apparent stumbles that Reeves and Warner Bros. have faced in making this movie might make a bit more sense. 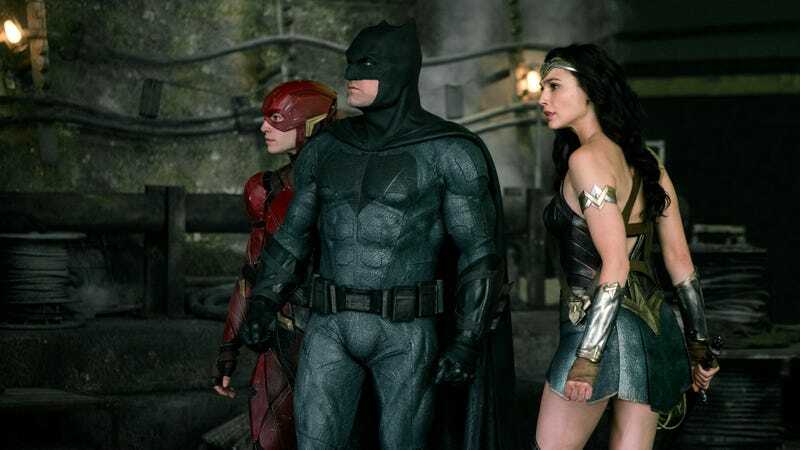 After all, if this movie is going to be disconnected from the Justice League movies, it might be a good idea to completely ditch the old script, make its interpretation of Batman a bit different, and even consider replacing Ben Affleck as the man in the cape and cowl. Assuming these movies really won’t be connected to Justice League in any way, then it also seems very likely that Warner Bros.’ longterm plan involves moving away from the whole “cinematic universe” model entirely. UPDATE: Reeves has now clarified his comments, explaining that by “not part of the extended universe” he meant that the movie would solely be about Batman, not any of the other Justice League heroes.